Families take care of their loved ones who are in need because they have big hearts and care deeply for their loved ones’ well-being. This holds true whether you’re taking care of someone who has a chronic illness, a disability, or those who are aging and in need of elderly care. Family members who are in the position of caregiver want the absolute highest quality of life possible for their loved one – which says so much about that person. It shows that they’re generous, loving and patient. 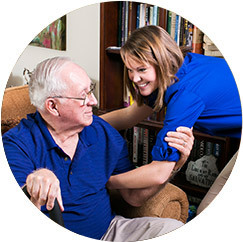 We know that you would do anything you could to help your loved one to lead the best quality of life. However, with all of that time spent caring for someone else, how much are you actually caring for yourself? Being a caregiver can be an extremely demanding job. It’s easy to put yourself last and care for the other person, even at the expense of your own needs. However, this selfless action may have some detrimental side effects. When you don’t pay enough attention to your own happiness and continuously put the needs of others over your own, you may grow to resent the person you’re caring for. When you continually prioritize someone else’s needs over your own, you could grow to become unhappy, unsatisfied, and hold resentment with your loved one that you care so deeply for. Caring for your loved one can go from being something you’re happy to do to a task that you dread and feel obligated to do if you don’t take time for yourself. Keep in mind that while your loved one is likely to be appreciative of all you’ve done for them, they also want you to be happy! 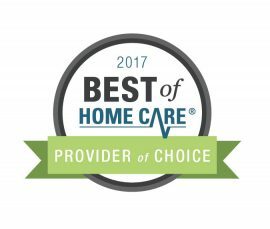 FirstLight Home Care provides respite care in Crestview Hills, Florence, Covington and the surrounding communities to allow for family caregivers to take some time off so that they can spend time focusing on their own needs. While you’re taking much-needed and well-earned time to yourself, our caregivers will be looking after your loved one. We’re able to provide respite care in any setting for several hours or days, based on your needs. We can also setup a regular schedule so that you can plan your time with your loved one as well as your time to devote to yourself. 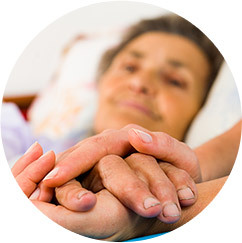 Although our specialty lies in elderly care, we’re able to help any adult in need of assistance. Keep in mind that while you may be a caregiver, that’s only a portion of who you truly are. It’s important to pay attention to and make time for the other aspects of your life. Spending time with your other family members, your spouse or significant other, and your friends will help reenergize and become your full self again; devoting time to your hobbies and favorite pastimes can also help. 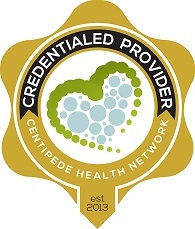 Our Crestview Hills respite care services can also help ensure you’re giving enough attention to your job or career. If you let all the other areas of your life fall apart for the sake of caring for your loved one, you could be headed for trouble. When you don’t prioritize yourself, you could potentially face high levels of stress, serious lack of sleep and related health problems. There’s no need to feel guilty about making time for your own priorities. Every person needs time to unwind and relax – it’s only natural. Without giving yourself ample time to refresh, you won’t be able to effectively help your loved one. Maintaining your own life can even improve your relationship with the person you’re caring for. When you feel fulfilled and happy, you’ll have an easier time getting along with your loved one. Plus, maintaining your own interests will give you something to talk about with your loved one! 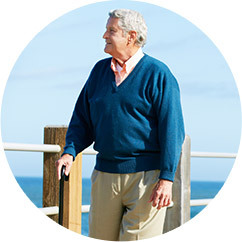 FirstLight Home Care of Northern Kentucky is able to help you get back to yourself so that you can lead a more fulfilling life. While you’re away, we’ll make sure that your loved one continues to receive the same high standard of care that you’ve been providing for them. Contact us today to learn more about how our respite care services, available to Crestview Hills, Florence, Covington and the surrounding communities, can provide relief for you and your family.